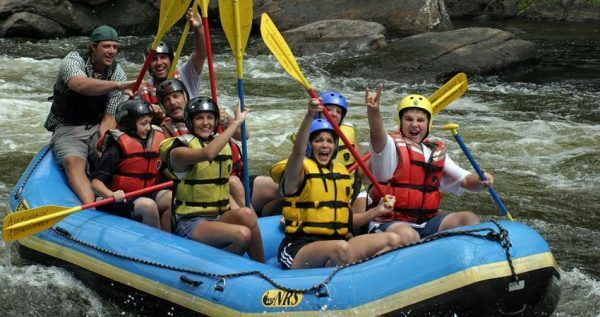 If you your perfect vacation tour is sprinkled with occasional adrenaline rushes and memorable thrills, then Sarigerme Rafting Tour is exactly what you need. 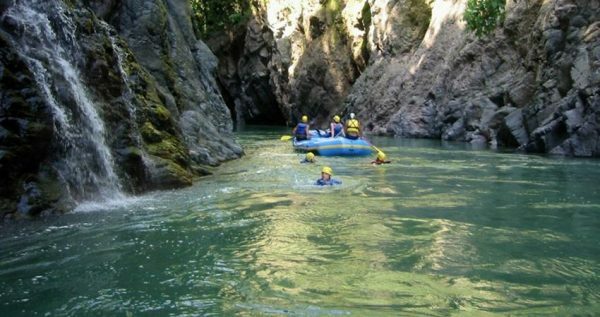 Surprising and mighty rapids of Dalaman River, stunning surrounding mountains fringed with thick pine forests, form an unforgettable scenery for your exciting adventure. 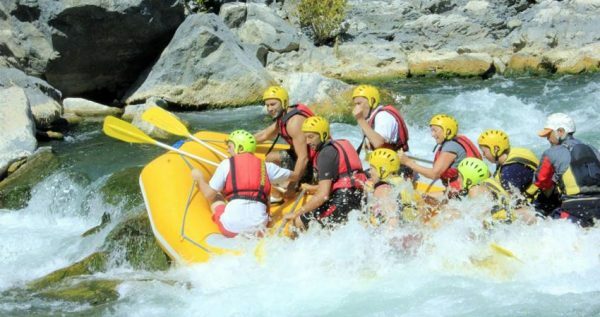 Dalaman river is world famous for its rafting, as it has more then 12 rapids. The river is considered to be 3-4 grade for the daily trips, and it is most challenging during the spring. 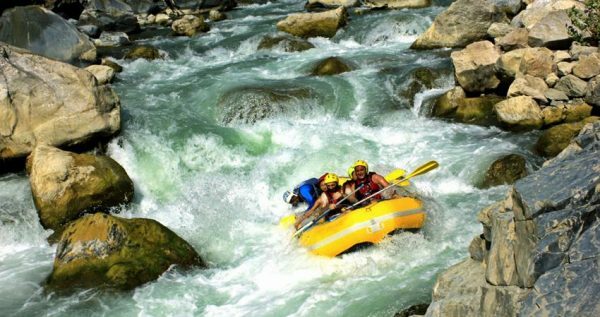 Conveniently, it flows in a rapid-pool-rapid-pool order, so it allows plenty of breaks and relaxation times during the rafting. 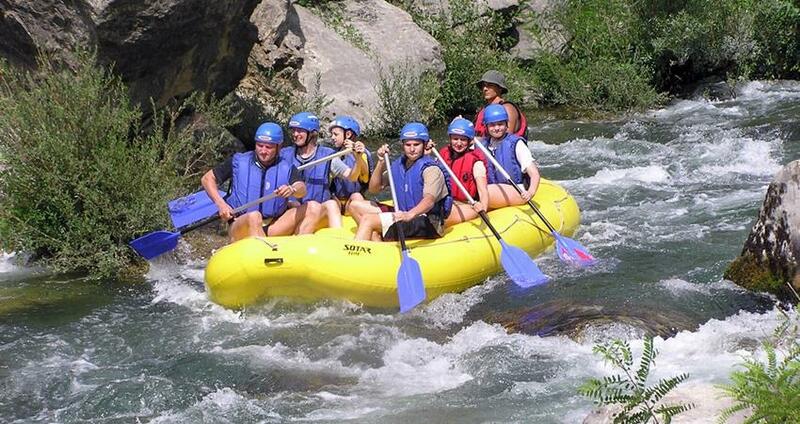 Sarigerme Rafting Tour starts with a pick-up from your accommodation, followed by a cozy trip to the venue spot. 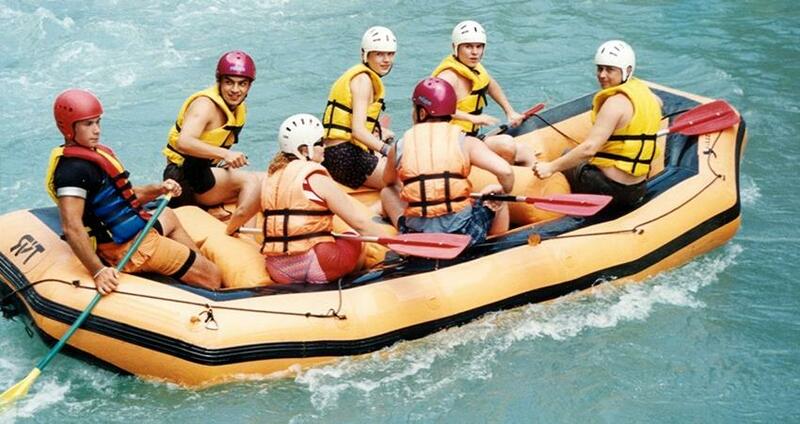 Once we reach the venue, you will be welcomed by our group of skillful rafting instructors. Before we head out to the river you will receive all the necessary info and basic instructions about the exciting, upcoming tour. 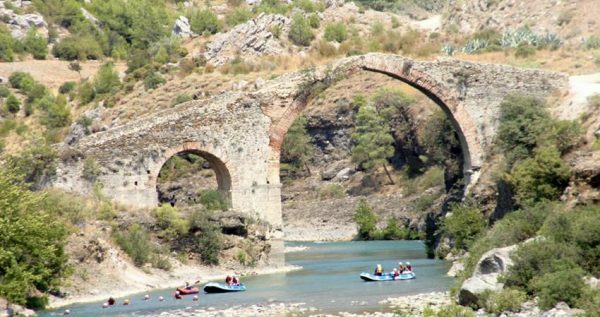 You will get to see the wonders of the gorgeous Dalaman River up-close and experience its most thrilling rapids and curves. In order to make your trip as pleasant as possible you should just make sure you’ve packed all of the stuff you might need. 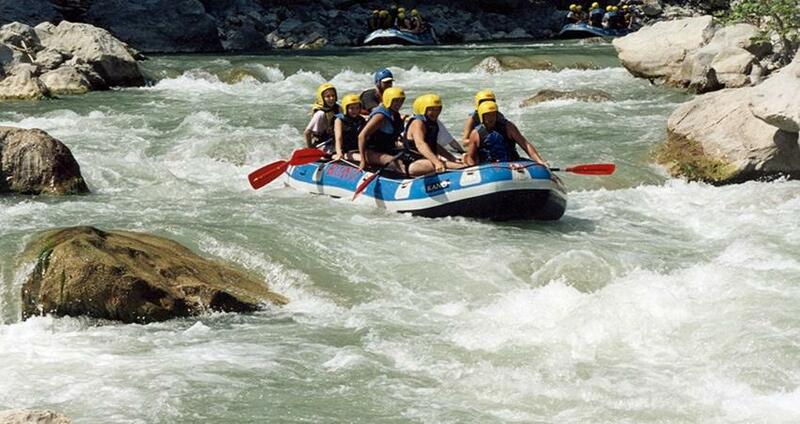 Towels, swimsuits and set of dry clothes, which you will change into once the rafting is over, are necessary. You should also make sure to bring a pair of footwear which is convenient for the water, as well as a plain T-shirt to wear under the life-jacket we will give you. You should also avoid carrying regular cameras. If you are adamant on carrying a camera it should be the waterproof kind, because the water tends to splash around and wet everything in the raft. This great tour can be quite overwhelming, so we have decided to include several swim breaks. We also include a thrilling cliff jumping session for the bravest among you. This tour is specially fitting for those who enjoy teamwork, as teamwork is essential for a successful rafting session. During Sarigerme Rafting you will have to get familiar with your raft-buddies, because you will have to work together for the course of this tour. At the end of Sarigerme rafting tour, the water flow will take you to the base camp. Once you reach the base, a tasty meal will be served to you and your team. We should also mention that people under the age of sixteen, and people with physical issues shouldn’t participate in Sarigerme Rafting. Everyone else is welcome to try it. Sarigerme Rafting Adventure starts with a pick up from your hotel in Sarigerme at about 08:00 in the morning. The convenient pick-up is followed by a cozy ride to the base camp, which is set near the great Dalaman River. 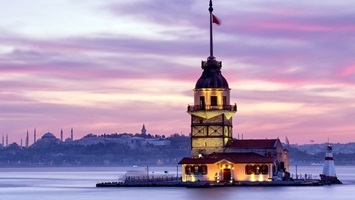 Once we get to the venue point, we will have a delicious open buffet breakfast, and Turkish coffee or tea will be served as well. Once the breakfast is over, we will prepare for the upcoming escapade. We should also mention that the pick-up and transfer to the venue are complementary. 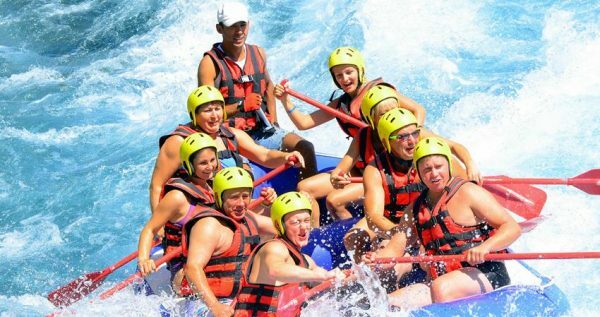 After breakfast, our team of skillful instructors will give you a valuable briefing and some important information about the fundamentals of River Rafting. Our instructors will also show you a video presentation of our previous rafting tours. This starting point of your adventure probably sounds boring, but you should keep in mind that it is vital to your safety and wellbeing. Once the briefing is over, we will drive up into the mountains by minibuses, with rafts tied on top of them. While we drive you will get feast your eyes on the surrounding nature. Dalaman area is famous for its deep, green canyons, and overall untouched nature. 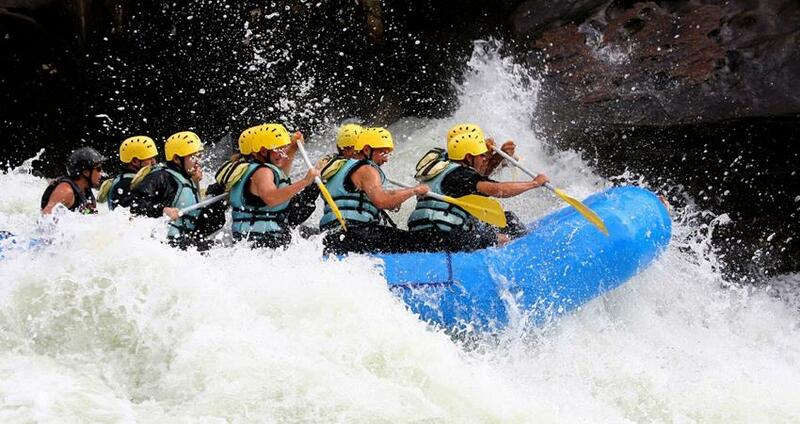 Rafting teams typically include from 8 to 10 people on one raft, and all of them have to get to know each other. It is vital to know your raft-mates because, essentially, your rafting session will be guided by your collective instincts and skills. 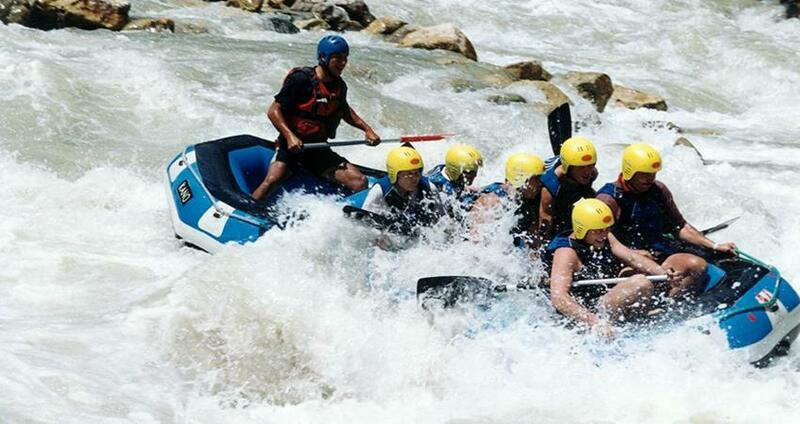 The success of your rafting escapade depends on the unified efforts of all of the people in the raft. 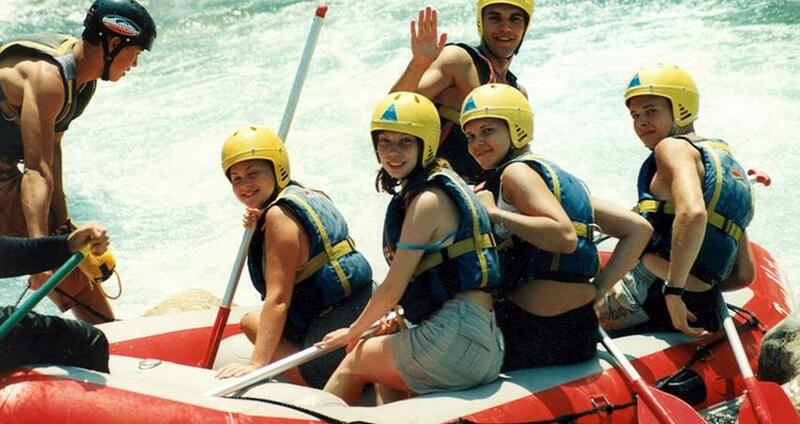 The rafting lasts for approximately three hours. 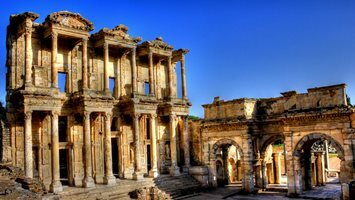 These three hours, include several short breaks, which will be taken in a few pools of the Dalaman river. During those breaks you will get to rest, swim and enjoy the surrounding lush greenery. Once the river flow takes us to the base camp, we will have a tasty open buffet lunch which will be served in a delightful local restaurant. The lunch will take place at approximately 4 pm, and afterwards we will head back to Sarigerme. We are expected to return at approximately 7 pm, so the rafting is a whole-day experience.